The Department of Mechanical Engineering & Aeronautics has organised a mini-symposium which will look at the possibilities for realising the commercial success of micro-gas turbines so as to meet energy and environmental challenges. 'The Future of Micro Gas Turbines', is the topic of a two-day mini-symposium hosted by City's Department of Mechanical Engineering & Aeronautics on 26th and 27th April 2017. 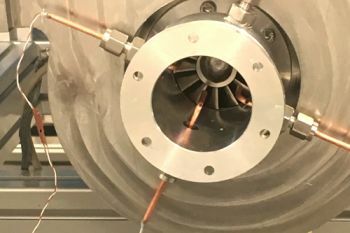 It is aimed at bringing together like-minded industry and research communities to explore the commercial success of micro-gas turbines in order to meet energy and environmental challenges. For further information on the program and personnel involved, please visit this weblink.